While you're here, don't forget to join us on Facebook, Twitter, and Instagram to keep up-to-date on the very latest Saddlers news. The manager, who had seen his side secure victory over their hosts thanks to goals from Nicky Devlin and Andy Cook, admitted that he'd protected Ginnelly over the last few weeks and also confirmed that Chris Dunn missed out after developing fluid on his hip after the pre-season clash with Ajax Amsterdam. Walsall-born Roberts, who forced his way into the starting line-up last season after ousting then first choice Mark Gillespie, insisted that both he and Dunn are working hard to get the nod for the season-opening clash with Plymouth Argyle. 30-year-old Dunn, who kept sixteen of Wrexham's record twenty-two clean sheets last season, believes that the gaffer is more than capable of transferring his defensive-minded approach to next season's League One campaign. Keates, who is keen to add stability to the squad ahead of the opening game of the season, insisted that Dunn has not been signed to make up the numbers, and expects the stopper, who also played for the likes of Northampton Town, Coventry City, Yeovil Town and Cambridge United before joining Wrexham, to push Liam Roberts for the coveted number 1 spot. 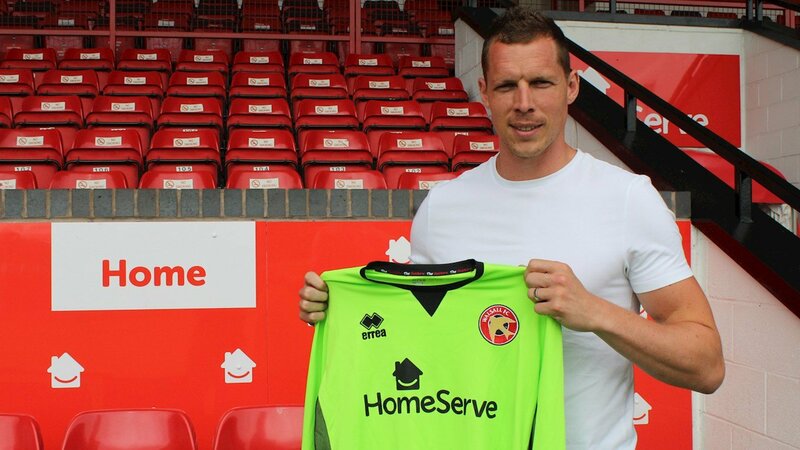 Chris Dunn: "I'm Really Excited to Get Underway"
The towering 6’5” London-born stopper, who along with amassing over fifty National League appearances with Wrexham, has played in the EFL for Northampton Town, Coventry City, Yeovil Town and Cambridge United, making over 240 appearances since turning professional over a decade ago, and is keen to add to that tally as he begins a new chapter of his career.